Rio de Janeiro : Israeli Prime Minister Benjamin Netanyahu waves as he is received by Brazil's President-elect Jair Bolsonaro at the military base Fort Copacabana, in Rio de Janeiro, Brazil, Friday, Dec. 28, 2018. 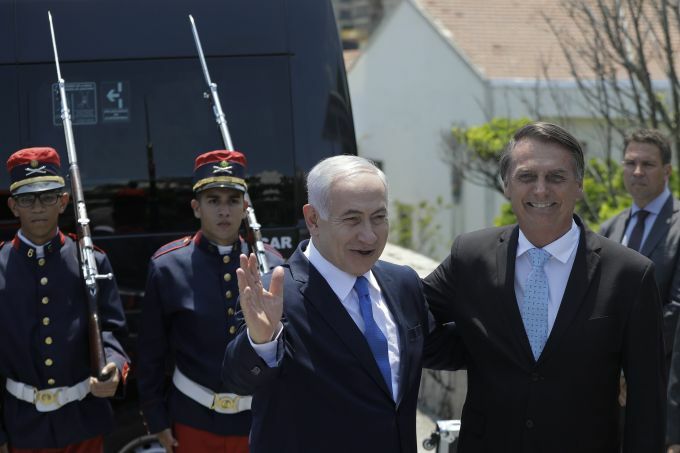 Despite earlier reports, Netanyahu plans to attend the inauguration of Bolsonaro on Tuesday, Jan. 1, 2019 in Brasilia. 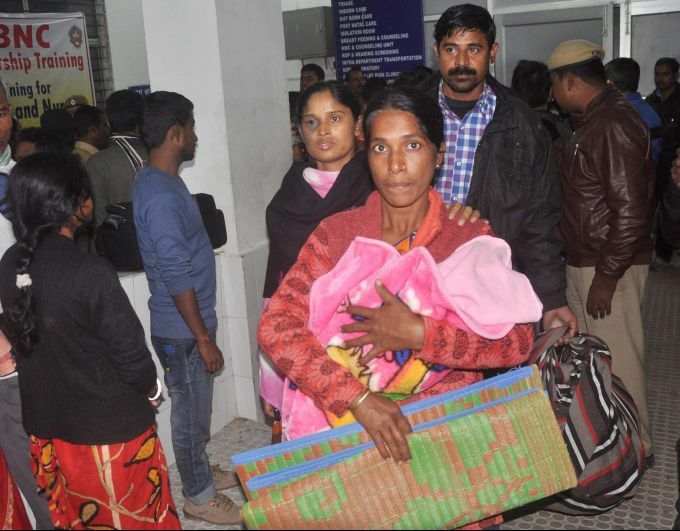 Guwahati: People come out after a fire broke out due to short circuit in a machine in the Special Newborn Care Unit of the Gauhati Medical college and Hospital in Guwahati, Friday, Dec 28, 2018. 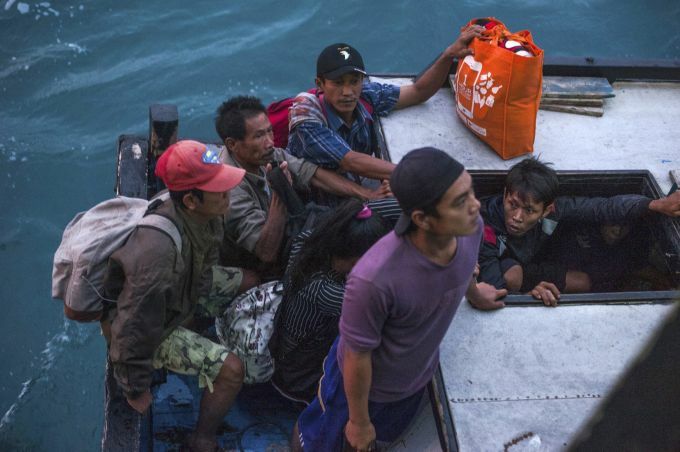 Sunda Strait: Residents of Sebuku Island wait with their belongings before boarding an Indonesian Navy ship as they are evacuated from their homes that are affected by Saturday's tsunami, in the waters of Sunda Strait, Indonesia, Friday, Dec. 28, 2018. Bad weather and a massive ash column hampered efforts to assess whether Indonesia's Anak Krakatau volcano island could trigger another deadly tsunami as authorities said Friday the search for victims in the worst-affected province will continue into January. Hundreds of people died in the Sunda Strait tsunami that struck Sumatra and Java without warning on Saturday. 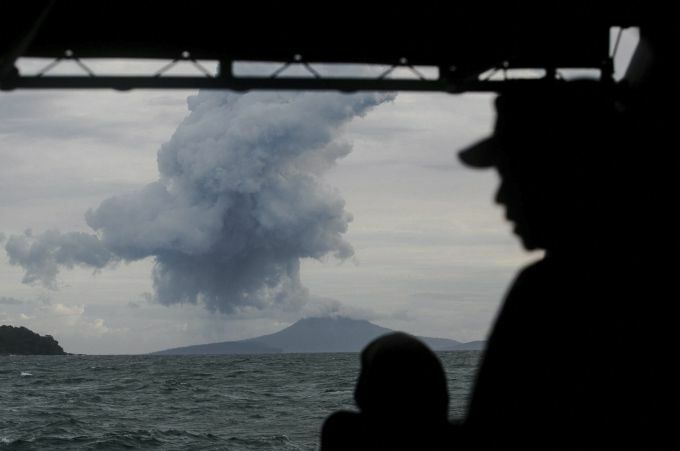 Sunda Strait: Indonesian Navy personnel watch as Mount Anak Krakatau spews volcanic materials during an eruption in the waters of Sunda Strait, Friday, Dec. 28, 2018. Bad weather and a massive ash column hampered efforts to assess whether Indonesia's Anak Krakatau volcano island could trigger another deadly tsunami as authorities said Friday the search for victims in the worst-affected province will continue into January. Hundreds of people died in the Sunda Strait tsunami that struck Sumatra and Java without warning on Saturday. Abu Dhabi: Spain's Rafael Nadal reacts after he lost the semi final match to South Africa's Kevin Anderson during the Mubadala World Tennis Championship in Abu Dhabi, United Arab Emirates, Friday, Dec. 28, 2018. Mumbai: Bollywood actress Katrina Kaif with Singer Aditya Narayan dance on the set of a TV show, to promote her upcoming movie Zero in Mumbai on Thursday, Dec 28, 2018. evening.